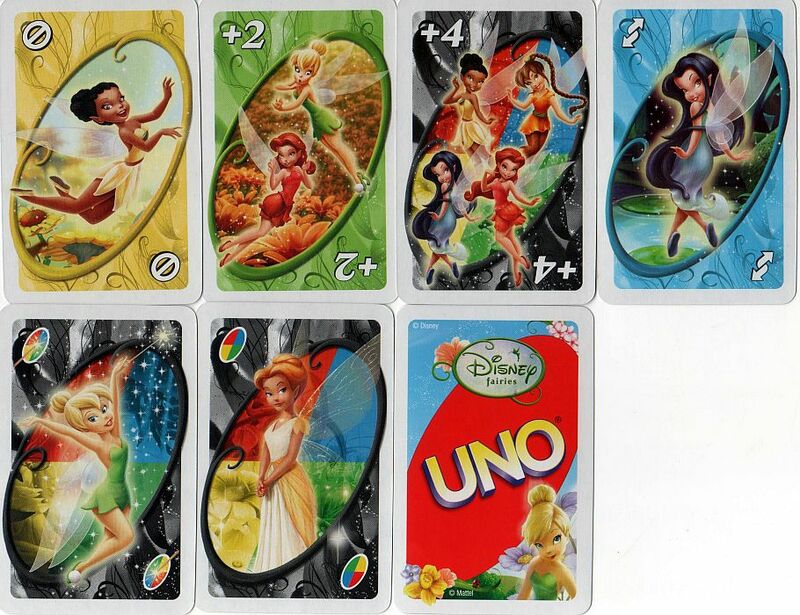 Playing cards featuring Tinker Bell and her friends Iridessa, Fawn, Silvermist, and Rosetta (from the Disney Fairies franchise). I originally included this deck on the Tinker Bell playing cards page, but I decided to separate it from the decks that featured just Tink. And then I added a deck of UNO cards to this page.